There’s no question that reducing mass has benefits regardless of what you make—if you’re designing rockets, the lighter you make it, the more payload capacity you can offer your customer. If you’re creating an airplane or automobile, less weight equates to better fuel efficiency. If you’re designing a consumer product, lightweight devices are more appealing to customers than heavier equivalents. And even if you’re working on a piece of industrial equipment, less weight can result in more energy efficient and faster operation. The challenge for lightweighting is that it’s just one target in the world of competing objectives that engineers live. How do you dial in a design so that it’s as light as possible, yet still meets all requirements and cost targets in the shortest amount of time possible? Anyone can design a bridge that stands, but it takes an engineer to design a bridge that just barely avoids collapse. Before we dive into that, let’s start by looking at why lightweighting has become such an important criterion in many development efforts. If it moves or is moved, it should be lightweighted. Planes, trains, and automobiles, of course. But it can also be extended to moving components of an industrial machine or even consumer goods that people carry around with them. Movement requires energy. Whether that energy is exerted by an engine, actuator, or human, the less effort that is required to generate motion, the better your product will be received. 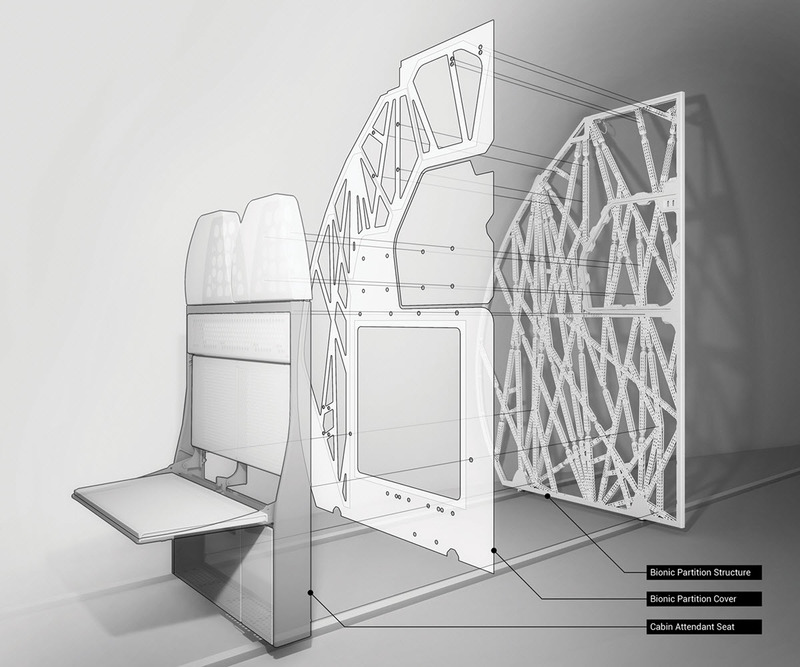 Airbus’ new bionic partition is 45 percent (30 kg) lighter than current designs. Airbus estimates that the new design approach can save up to 3,180 pounds of fuel per partition every year. Image courtesy of Airbus. For every 1 kg of material removed from an airplane, 106 kg of jet fuel is saved per year. For automobiles, decreasing weight by 10 percent can increase fuel efficiency by as much as 3 percent.1 There are also regulations driving lightweighting efforts, such as Corporate Average Fuel Economy (CAFE) standards that require annual improvements to fuel efficiency for passenger cars and light trucks. In the case of consumer goods such as luggage and electronics, lightweighting improves the ergonomics for a product as well as performance. When applied to sports equipment, players can increase speed and enjoyment as things like bicycle frames become lighter while helmets, pads, and guards become less cumbersome. It should also be mentioned that if done properly, less material is consumed which can have the side effect of lower costs as well. Note that this doesn’t always hold true, especially when replacing a heavier low cost material with one that is more exotic or requires more expensive manufacturing techniques. Any lightweighting effort can also reduce transportation and shipping costs, but one must be mindful that such costs are no longer calculated based upon weight alone. Newer pricing mechanisms recently adopted by major companies such as UPS, FedEx and DHL use dimensional pricing, which also takes into account the volume of the packaging. Therefore, beyond lightweighting, packaging solutions must also take into account the minimization of package volume to realize cost benefits. There’s always a tradeoff. Mass cannot simply be shed without accounting for all the other performance criteria of the product. The good news is that many products are over-designed with high safety factors, so dropping weight in the right locations will still meet strength requirements. There are other, less obvious factors, however, that should be considered. New vehicle weight steadily increased from 1988 to 2008 as new safety measures were implemented, such as airbags and the use of high strength materials. Data courtesy of the EPA. Safety is always the more important requirement when evaluating tradeoffs. 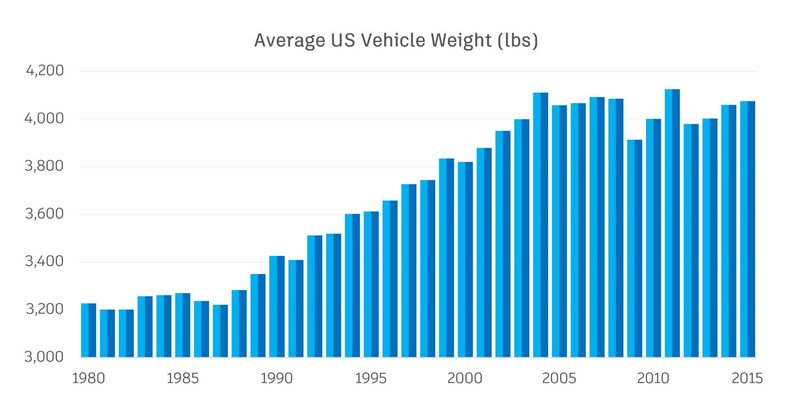 Safety measures introduced into vehicles are the leading cause of the increase in weight: in 2008, the average car was 530 pounds (20 percent) heavier than the average car 20 years earlier.3 This trend has finally plateaued over the past few years, but safety measures still limit the amount of lightweighting opportunities available. Lighter weight parts are more prone to vibration issues, so careful evaluation of the natural frequencies at which they will resonate should be done to ensure it will not fail catastrophically in service. Additionally, more dampening may be required that could negate mass-reduction efforts. When replacing materials, you also need to look further than just density. Temperature, pressure, chemical resistance, electrical insulation, and other properties need to be appropriate for the environment in which the product will be used. Designing lighter parts can also cost more, especially when substituting in advanced materials such as carbon-fiber and other composites. Designing with newer materials often has a learning curve that, when paired with more complex geometric designs, results in lengthier and more complex development cycles. Even when newer manufacturing processes are introduced to legacy products, the time it takes to redesign (and sometimes consolidate) parts can be substantial. Additional costs can also be incurred when using newer processes designed to produce lighter materials and parts. Parts made more flimsy need to be reinforced through additional fasteners and adhesives, adding complexity and resulting in more manufacturing resources. 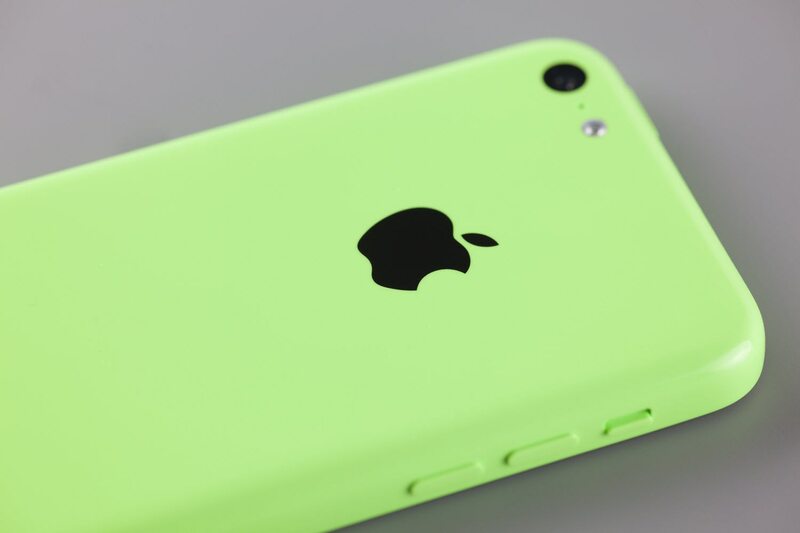 The iPhone 5s has a plastic casing rather than the traditional aluminum housing typically found on higher end models. Further considerations must be made regarding user experience and expectations. Depending upon circumstance “lighter” can sometimes seem “cheaper”, especially when once “sturdy” steel parts are replaced with aluminum or metal parts are replaced with plastic. Whether or not consumers will buy into the use of inlays that mimic natural materials for plastic parts to give a better sense of something more authentic should be factored into any design decisions. One must also take into account the cascading effect that can happen as a result of weight reduction in engineering design. Replacing a heavier material with a lighter one (changing certain automotive parts from all steel to steel with aluminum or all aluminum) may create new issues. Different painting processes may be required, such as in the case of sheet metal versus carbon fiber. Unlike the more uniform surfacing of metal, carbon fiber tends to be more porous, filled with pits, voids and other imperfections that leave surfaces uneven. Despite the numerous challenges to lightweighting, there are several different approaches that can be applied to reducing weight successfully. Each has its own merit, and considering the full swath of possibilities from the outset of the design process will ultimately result in the best outcome. The first, and most commonly used approach, is substituting in lower-density materials. New advances in the manufacture of metals, polymers, and composites are trending towards materials that are increasingly lighter, more durable, and lower cost (the latter is at a considerably slower rate). While steel remains dominant in many manufacturing applications due to its relatively high strength-to-weight ratio, newer alloys and manufacturing techniques are allowing for lighter materials to be used in more applications. Aluminum is the most abundant metal on Earth and is only ⅓ the weight of steel. Another example of an upward trending lightweight metal is magnesium; it is the lightest metal currently used for structural applications. Beyond its relative lightness, it maintains structural integrity as it is strong and rigid, but is also impact and dent resistant, is dimensionally stable, and particularly resistant to vibration. Products that depend upon portability are seeing more magnesium inclusion in their design such as in chainsaws, pneumatic nailers, luggage, laptop computers, and cellular phones. It is also being included in automotive applications for engine brackets, transfer cases, steering column components, pedal brackets, instrument panel supports, and seating. Carbon fiber is increasingly being used as a reinforcement material to replace traditionally solid metal components. Weight savings of 20-40% are possible in many applications. Image courtesy of Firefly Space Systems. An alternative to certain metal components are plastics and composites like glass fiber, carbon fiber, and Kevlar. While all sharing similar fiber strength, carbon fiber and Kevlar have a significantly higher strength-to-weight ratio. Beyond those most well-known materials mentioned above, there are newer materials being introduced on a regular basis that are increasingly comparative to metals with respect to heat and chemical resistance properties. Regardless of material, lightweighting of components has also been limited to the constraints of traditional subtractive manufacturing processes. Anything made from metal has to be relatively solid, with the only opportunity to remove mass coming by way of smaller stock sizes. With the more widespread use and adoption of 3D printing and other additive processes, there are now several new opportunities to remove mass. Creating an internal honeycomb structure through 3D printing reduces the weight of an individual part while maintaining necessary stiffness and strength. The first of these to emerge is hollowing: 3D printing processes can employ a hollowed honeycomb structure when printing a part, maintaining rigidity while using less material than casting or machining. Even more significant is that, for the first time, engineers have more control over the internal structure of a product. Another option with similar results to the hollowing technique using a more traditional manufacturing approach is microcellular injection molding; an infusion of gas into molten plastic prior to injection that then expands when pressure is released upon entering the mold (similar to the fizz generated by opening a can of soda), resulting in a reduction in weight of 20-40%. Mass reduction can also be accomplished through reducing the number of parts within sub-assemblies. One of the most popular ways of doing this is by replacing metal with plastic where possible as multiple parts can be more easily joined through molding or 3D printing. For metals, particularly magnesium, there is thin wall casting, which can replace machining or stamping, while maintaining lighter parts and structural integrity. The use of bolts, nuts, and rivets as fasteners to any design means the addition of weight. To minimize this, newer welding techniques have been developed to join materials once thought to be “un-weldable”, such as advances by GM and Tesla to join aluminum to steel or aluminum to aluminum. Even newer adhesive technologies are allowing more materials to be fastened together, regardless of weight, dissimilarity, or vibrational and high-temperature conditions. Topology optimization applied to a bracket identifies areas of the part that do not contribute to strength and stiffness so they can be removed from the design without affecting performance. Finally, there are new technologies that can help identify potential weight-saving opportunities up front in the design process. Traditional simulation tools can be used early in the development process to evaluate stress and safety factors, so models can be iterated upon knowing exactly how it will perform. And topology optimization is being integrated into design software, so areas of the part that contribute least to the strength of the design can be identified and removed. The future of lightweighting holds even more promise as newer advanced materials and technologies emerge, like carbon nanoparticles, multi-material additive manufacturing, and generative design. Still in R&D stages, carbon nanoparticles (or “carbon nanotubes” - CNTs) display a tensile strength of up to 33 times that of Kevlar. Multi-material additive manufacturing is the next generation in 3D printing, whereby engineers and material scientists will be able to manufacture the properties of a material component to print before manufacturing the actual part itself. Lastly, generative design will allow for the entire iterative design process that combines CAD, CAE, and CAM in one cohesive package. Designers will enter all parameters and constraints and the ideal optimized, right-sized parts will be produced. These advanced processes make the future of making things a compelling vision of what’s to come, yet the reality for engineers and designers is that there are countless opportunities and practical approaches for lightweighting right now. Beyond material selection, manufacturing processes give us new ways to explore geometries of design that were once considered science fiction. 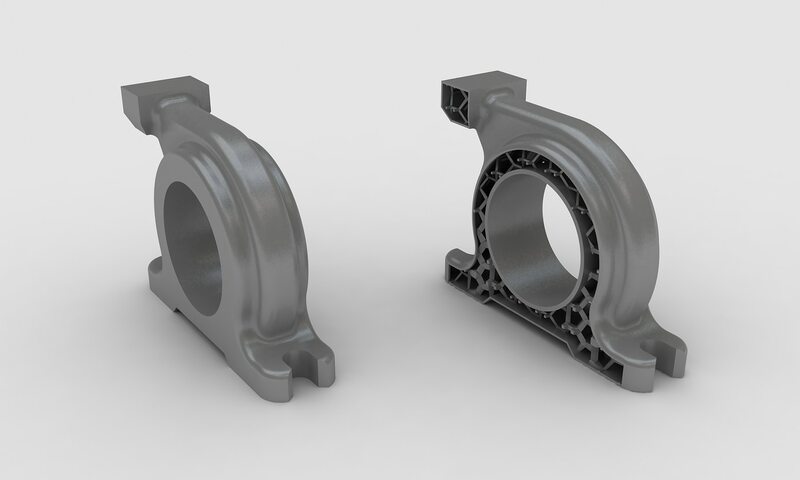 Innovative approaches to fastening and component reduction give the means to design parts from the inside out, and advanced CAD, CAE, and CAM technologies provide the means to provide products that are better, cheaper, stronger and lighter.